We are about to file a case in the Orlando Division this week based upon the recent discharge of private student loan debt for a non-accredited school that was not listed on the Federal Codes List. We are relying upon a decision last Spring In re Decena, 549 B.R. 11 (Bankr. E.D. N.Y. 2016), where debts owed on private loans to attend a “for-profit” university not accredited by the United States fell within the exception to discharge of § 523(a)(8). See also In re: Meyer, Case No. 15-13193 (Bankr. N.D. Ohio 2016) and In re: Swenson, Case No. 16-00022 (Bankr. W.D. Wis. 2016). Unfortunately, I just learned today that In re Decena was just reversed on other grounds on November 29, 2016 when it came to light that the service was improper. We noted the zip code they used in their service was incorrect last week when we were putting the finishing touches on our Complaint. Then today I read that the decision was overturned because the bank, Citizens Bank, was served by U.S. Mail rather than certified mail on an officer of the bank as required. Fortunately, two other jurisdictions in Ohio and Wisconsin agreed with the analysis put forth in In re Decena and are good law. It is not likely that the New York Judge in In re Decena will materially change his position after service is properly effectuated and the saga continues, but… you never know. We hope our case will be followed by others soon as we are talking with additional clients interested in filing under similar grounds. Hopefully we’ll have Florida precedent on this issue in the next few months to a year. We are focusing on the exceptions to discharge which include student loans which involve co-borrowers who are siblings or friends – any situation where the student was not a dependent of the debtor; loans that exceed the cost of education (including room and board) for accredited schools; and loans for non-accredited schools such as the enormous amount of medical schools in the Caribbean. There are more than 50 medical schools in the Caribbean, most of which are not accredited by the U.S. and are not on the authorized Federal Schools list eligible for Title IV funding. Therefore most student loans for these schools are private and may be dischargeable under the cases cited above. We are also challenging any federal loans used as a conduit to fund education at these non-accredited medical schools through a joint degree with a U.S. based institution. 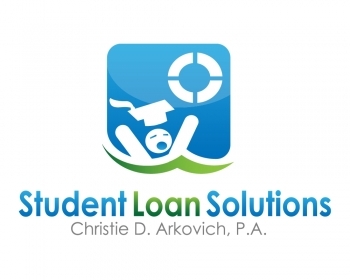 For further information on discharging student loans in Florida, please contact us at Christie D. Arkovich, P.A. or review our Student Loan Survival Center. Please help spread the word that these loans may be dischargeable because of their unique circumstances — and that an undue hardship is not required to be shown. 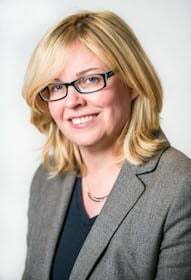 Most people are unaware of this developing body of case law. Please link this article to your Facebook and Twitter or other social media. You may be saving your friends several hundred thousand in loans for an education that didn’t really help them by doing so.